This is a long-haul bread, please read through before attempting! This is not your average sandwich bread, yet it is an interesting accompaniment to a cheese platter, ploughman's lunch or as a more adventurous addition to sandwiches. It is a dense, fully flavoured little bread and is therefore deserving of stronger flavoured toppings – such as preserved meats, pickles and strong cheeses. 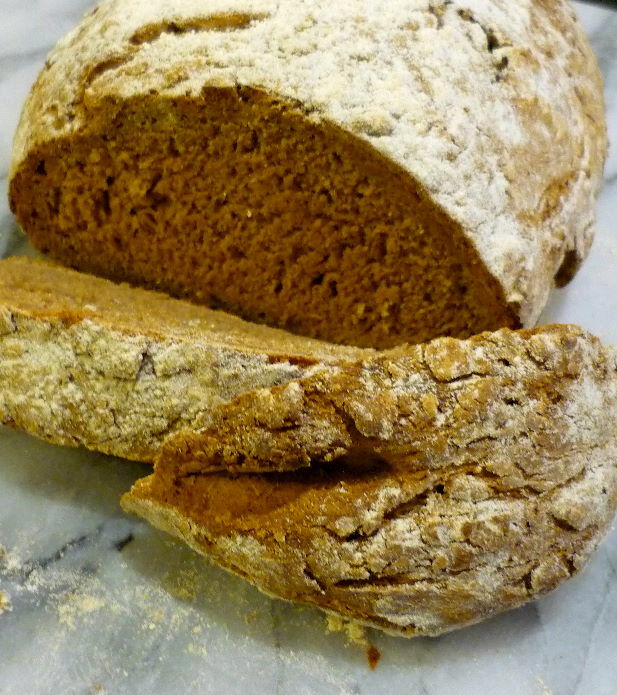 Most European delis have an excellent supply of dark rye flour and even pre-mixed pumpernickel flour. It is an easy bread to make – once the dough is mixed it is just a matter of waiting overnight for the bread to be ready. On the bright side, you can make wonderful warm nutty smelling bread as soon as you get up in the morning, ready to eat for lunch! Place all the dry ingredients in a large mixing bowl. Add the honey to the water with the fresh yeast andmix directly into the dry ingredients. Bring the dough together and mix well until it forms a thick, sticky dough. Immediately divide the dough into 2, and place in 2 well oiled or lined loaf pans. Cover, either with foil or with loaf pan lids and leave for a few hours or overnight for the flavours to develop. This is not a fluffy loaf - rather a dense spongy affair and it will not rise hugely however it is the taste you are after, it should be quite smokey and yeasty - like a strong beer. Once the dough has risen (for at least 3 hours) scatter a few additional caraway seeds or some flour on the top, sprinkle over a little olive oil. Cover the loaves again with the foil or lids while cooking, this keeps the bread protected and helps it cook evenly and gently. In the lower section of your oven under the bread pan, place a roasting tray filled with hot water to keep the oven moist while cooking the bread on a gentle heat. Cook for about an hour. Test the loaves, cook until the top of the bread is very firm and a skewer can be removed cleanly. Remove the baking tray of water and the cover from the bread. Increase the oven temperature up to 180°C and bake for a further 30 minutes until very firm and deeply browned. Allow the loaves to cool in the tin, then turn out. 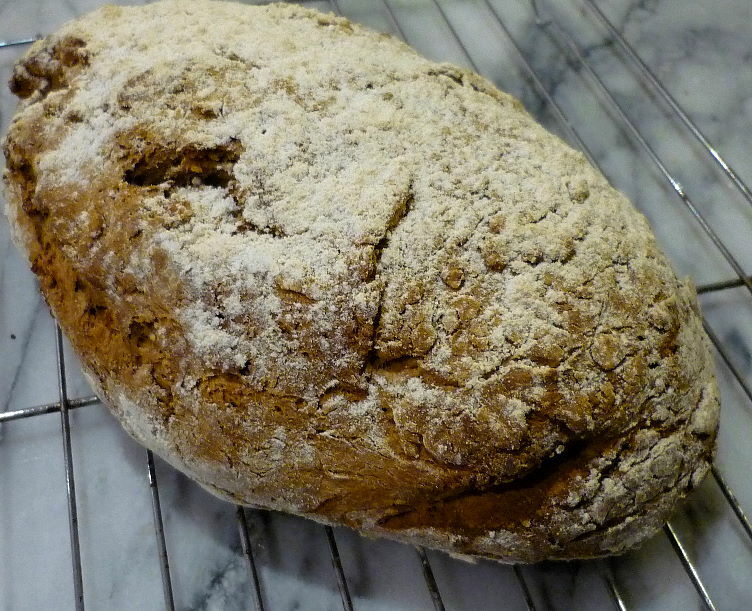 Pumpernickel will store well wrapped in plastic or in a plastic storage container for several days.